This week Cheryl is joined by Christian White to discuss his debut novel The Nowhere Child – a combustible tale of trauma, cult, conspiracy and memory. Together they talk about the rise of debut fiction, the odd-jobs that Christian has had over the years to support his writing career, and the way in which male reading is often stigmatised. Christian White is an Australian author and screenwriter. 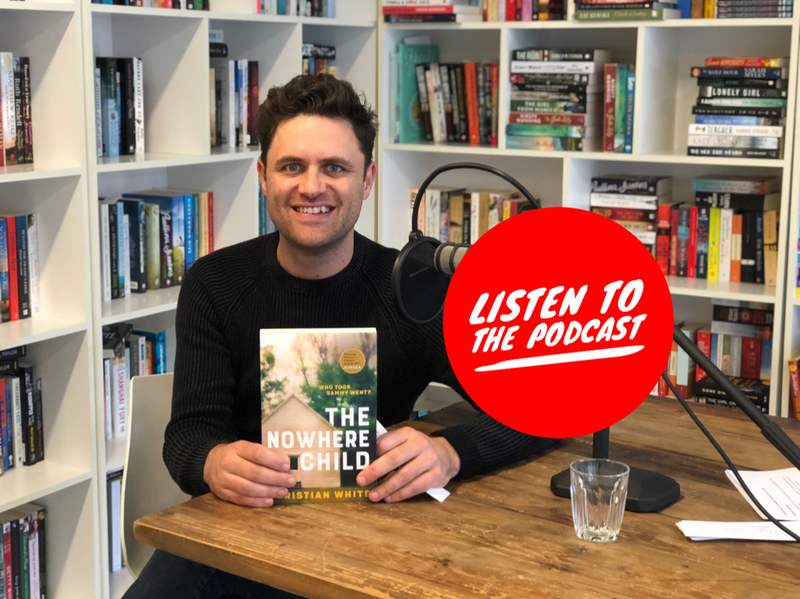 His debut novel, The Nowhere Child, won the Victorian Premier’s Literary Award for an Unpublished Manuscript. He co-created the television series Carnivores, currently in development with Matchbox Pictures and Heyday TV, and co-wrote Relic, a psychological horror feature film to be produced by Carver Films (The Snowtown Murders, Partisan). Born and raised on the Mornington Peninsula, Christian had an eclectic range of ‘day jobs’ before he was able to write full-time, including food-cart driver on a golf course and video editor for an adult film company. He now spends his days writing from his home in Melbourne where he lives with his wife, the filmmaker Summer DeRoche, and their adopted greyhound, Issy. He has a passion for true crime podcasts, Stephen King and anything to do with Bigfoot. The Nowhere Child is his first book. Christian’s currently working on his second novel, due for publication by Affirm Press in 2019.